To install, click on the Download Now button and save the software to your computer. Find the saved file and run it by double-clicking it. You will need administrator access on your computer or you will have to get your IT people to do this. The software will install and leave a new icon on your desktop. You should uninstall previous versions of the software. Data files will not be affected. If you get stuck, call us on 1300 30 33 34. Occasionally, the USB Interface will stop working, usually after a Windows update or other change to the computer. To remedy this, download the new file and save it to your computer. Double-click the file to install the drivers. 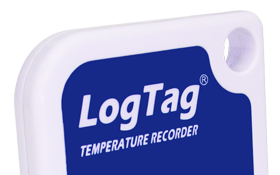 Enter your details below and we will notify you when new updates are released for LogTag Analyzer. The .exe installation file will not run on computers running Windows XP or Vista. You will need to use this .msi file instead. Network admins may also prefer the .msi version. After installation, you may need to manually install the drivers using the link above. Need a hand? Just give us a call on 1300 30 33 34 and we’ll talk you through it. Please note: You will need administrator access to your computer to install the software.